Biofilm: Why do I keep getting a sinus infection? Do you wonder if biofilm is affecting your health? We have many patients who seem to continually struggle with repeated infections, chronic illness, and multiple symptoms with normal lab results. What if it is the same sinus infection that you are simply not able to get rid of? Biofilms can affect resistance and progression of the disease process. 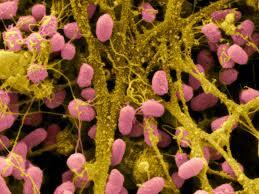 Microbes can form a protective shell and often join up with other microbes. This process can make it very challenging to improve your health. There are 1,000’s of research articles about biofilm and how it can affect our health. How do we address this in healthcare? Talk to your doctor at Lake Oswego Health Center about treatment options for those seemingly recurrent infections.